So, anyway, it’s June 2017, which is a great time to talk about the movies of 2016. I’ve done this five times before, the ground rules should be clear, but a quick reminder for the uninformed: all movies are my choices, not Flayrah’s, choices are not necessarily furry, movies came out theatrically in 2016 and that’s about it. Usually I do a list of preliminaries, but I’ll save that for Twitter; I don’t remember how to code the boxes, and I’ve changed accounts so I can’t just copy and paste the code, anyway. Now, without further ado, let the bodies hit the floor! 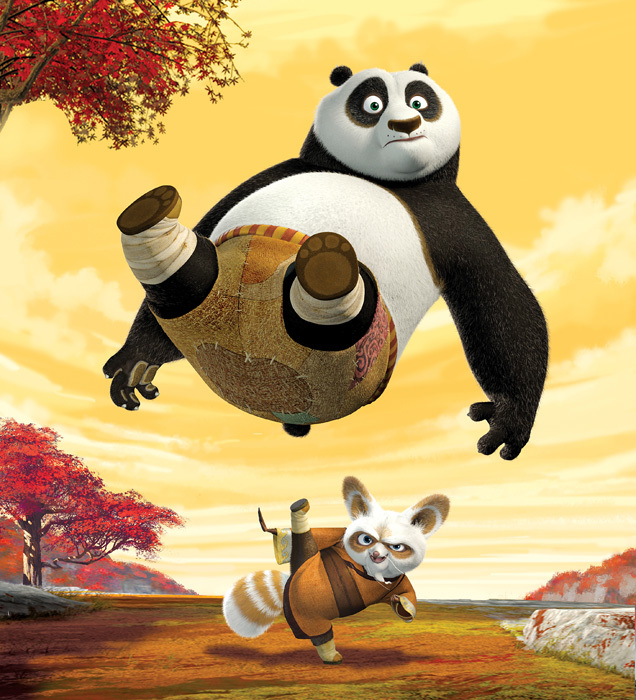 The word that best describes the Kung Fu Panda film series, in my opinion, is "classy." Which is surprising, because DreamWorks Animation was not known as a classy studio. The studio got its start with Shrek (a movie studio founder Jeffrey Katzenberg consider's DreamWorks' "North Star," whatever that means), which didn't introduce the fart joke to mainstream animation, but certainly played a big part in popularizing it. It's not a classy movie, is what I'm saying, and it has no pretensions otherwise. And so, for seven years, that was DreamWorks, where the world of animated movies was you were either Disney or Pixar, or you were, at best, the angry rejects who could only hope to stand out by virtue of crassness. Enter Kung Fu Panda, a movie that features Jack Black as an overweight anthropomorphic panda with a nervous eating habit. The fart jokes should have written themselves, right? I went into that movie expecting a fun "romp," an innocuous time waster with a couple friends. Even as a furry, a DreamWorks animation movie, even one about anthropomorphic animals, meant it was, at best, going to be okay. Instead, it felt like a lightning strike; this was a real movie. It respected its characters, its setting, its story, its audience. And then, somehow, the sequel was even better. So, anyway, Kung Fu Panda 3 is also pretty good. And also way classier than my headline, which contains the word fart. I guess you could describe that headline as "gassy." And this review now contains more fart jokes than the entire Kung Fu Panda trilogy. Isn't that funny? 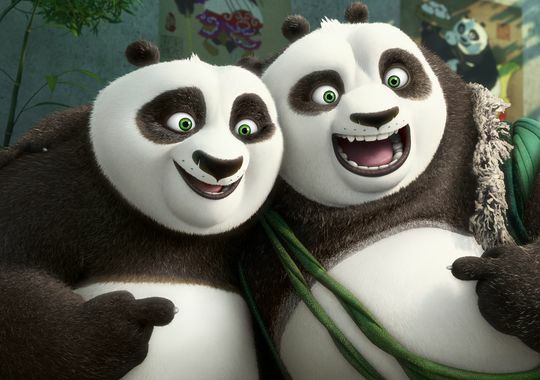 As if in response to Disney's Zootopia featuring the groan-worthy tagline "Like nothing you've seen be-fur," DreamWorks Animation has finally shed some light on its Kung Fu Panda 3 in an article from USA Today. 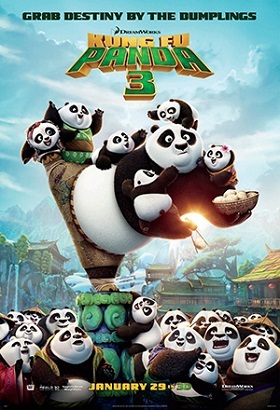 Seeing as how Kung Fu Panda 3 is the third movie in a trilogy that comes out in January 2016 and Zootopia is a March 2016 movie, that makes the tagline wildly inaccurate as well as groan-worthy. Furries are looking forward to both, but, hey, it's a bad tagline. Spoiler warning: The USA Today article linked may have bluntly spoiled a possible subplot, which is discussed below the break. Update (6/13): A Chinese language trailer has apparently been leaked; it's since been taken down. Update (6/19): An official English trailer appears, and it is hilarious. Two new full-color one-shot comic books from Ape Entertainment’s Kizoic line are set to hit stores later this month. 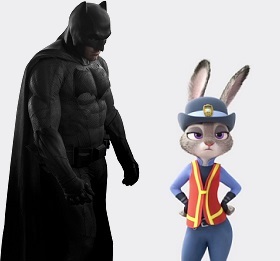 Both of them are tied in to Kizoic’s successful Dreamworks Animation comics. And both of them have long titles! In Kung Fu Panda: Tale of Two Noodle Shops, “Business at Mr. Ping’s noodle shop has been booming since his adopted son Po became the legendary Dragon Warrior. But when a new noodle shop opens in the Valley Of Peace, touting nightly entertainment by the Dragon Wizard, can Po lure back his father’s clientele? Or has his act gone as stale as noodles left out overnight?” Find out in a story written by Troy Dye and illustrated by Massimo Asaro. Check it out at Things From Another World. And then, there’s The Penguins of Madagascar: Mortzilla vs. King Kowalski, written by Jackson Lanzing with art by Bob Renzas and Antonio Campo. Well, frankly, we don’t think we can tell you about it better than the cover does! Either way, find out more at Mile High Comics.